Poet Edward James was a successful poet but was best known for his involvement in the surrealist art movement. A movement that involved strange and fantastical depictions of philosophical ideas. Los Pozas was a garden he created in a subtropical rainforest in Xilitla, Mexico in the 1940s. A work in progress, he consistently added architectural structures to the tropical gardens until his death in 1984. His concrete designs peek out from the greenery with names like; ‘The house with a roof like a whale’, or ‘ The staircase to heaven’. Listed as an endangered cultural site, the wild tropics are fast swallowing up this surrealist landscape. The name is a sure giveaway that this is no ordinary garden and to expect the surreal. Based in Dumfries, Scotland at the home of landscape architect Charles Jencks, this 30-acre garden takes its inspiration from cosmology. Sculptures dot the landscapes incorporating themes from maths, science, black holes and fractals (repeating pattern that displays at every scale, apparently). There are five man-made lakes, bridges, a large white staircase and lots of trippy twirls and patterns. These botanical gardens in Cornwall were created in the mid-18th century as part of the Heligan family estate. The gardens feature a small jungle of subtropical plants, an Italian garden and a vegetable garden. Most popular with visitors are two giant and otherworldly figures called the Mud Maid and the Giant’s Head that emerge eerily from the earth. When it comes to gardens it can be hard to think outside the box, apart from some alternative sculptures or features. One thing you don’t see very often, however, is a vertical garden like this impressive display on the Quai Branly Museum in Paris. You can’t take a stroll in this garden but you can certainly appreciate its efforts. The 75-acre Gilroy gardens in California were started in 1925 by a farmer named Axel Erlandson who trained and pruned different trees to grow in bizarre and twisted shapes. Now it’s a theme park called The Lost World, celebrating his good work with these weird and wonderful trees. This 500-acre botanical garden in Thailand beautifully blends tropical gardens in with classical French and Roman garden designs creating a colourful and intricate pattern of gardens. 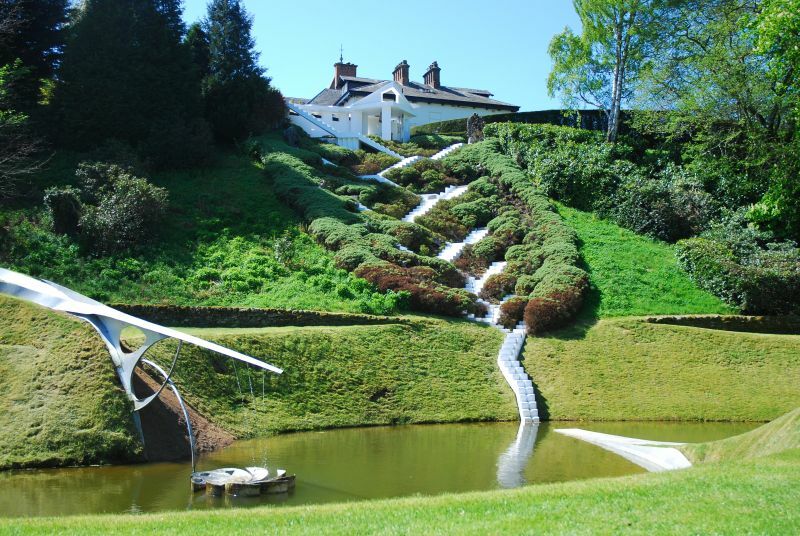 Strange sculptures span the terrain, like the Umbrella and butterfly Garden. The climate allows for tropical themes including the cactus and pineapple gardens, all making for an evocative experience. 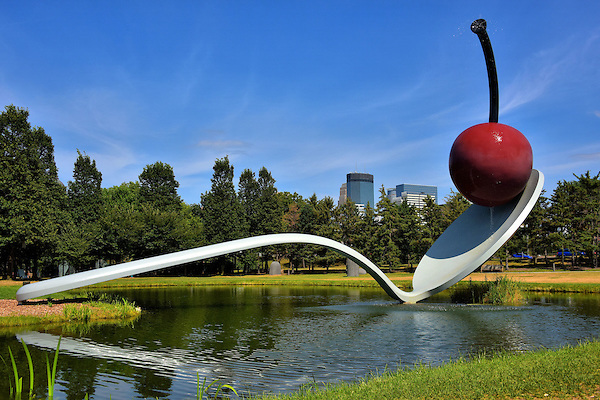 This 11-acre Minneapolis Sculpture Garden is best known for its large-scale sculptures of everyday objects. The most iconic sculpture is the Spoonbridge and Cherry structure, designed by husband and wife team Coosje and Claes van Bruggen. The urban sculpture garden also displays more than 40 works from the nearby Walker’s Art Centre including Frank Gehry’s Standing Glass Fish. 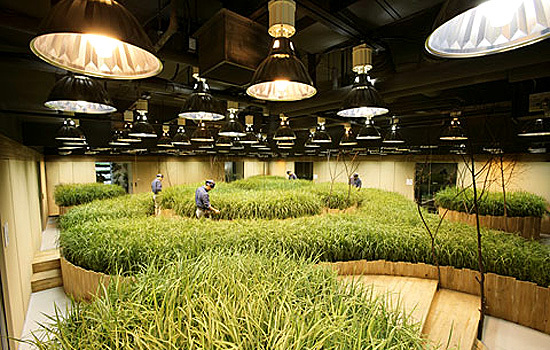 With a population exceeding 13 million and growing, Tokyo doesn’t have a whole lot of space for gardens and farms. One unusual solution that many commuters above may be unaware of, is this subterranean farm in a former bank vault beneath the city skyscrapers. Over 1,000 square metres the garden produces tomatoes, lettuces, strawberries, rice and vegetables. Designed by landscape artist Ken Smith this art-inspired roof garden is a fitting addition the world’s most famous modern art museum. 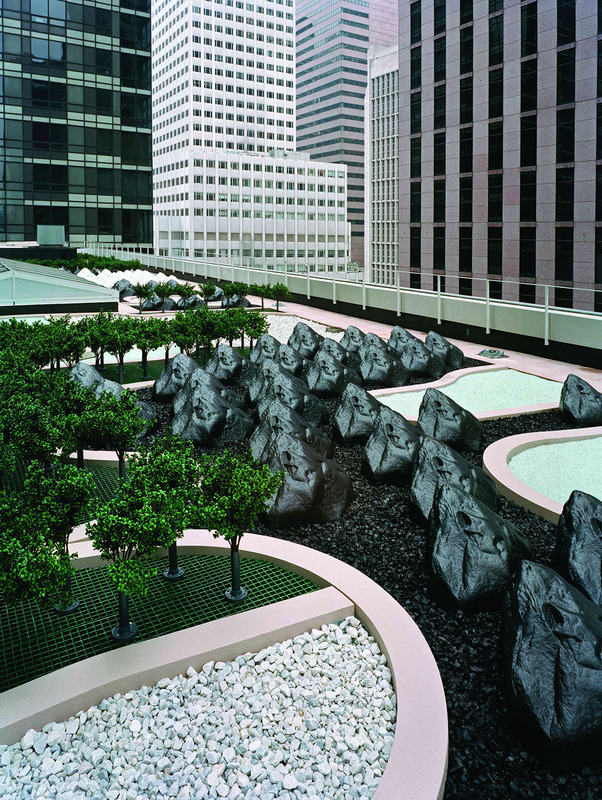 Aimed to disguise the roof while creating a natural, sculptured landscape the garden uses recycled rubber chips, crushed glass, crushed marble stone, artificial boulders and artificial boxwood shrubs. This may be an unusually designed garden in Japan but its premise is incredibly touching. Originally the architect planned to design a natural space on the side of a mountain but revised his plans after a major earthquake which claimed 6,000 lives. The Awaji Yumebutai 100 steps gardens are now a beautiful memorial, which includes 100 square gardens and a 10-meters of continuously flowing water.